It looks like Samoa Joe is going to miss yet another WrestleMania event. In a match against Rhyno last month, Joe suffered an injury and was forced to be pulled out of the Mixed Match Challenge. The injury would be to his right foot, and he was also forced to withdraw from the Royal Rumble. Although he would share on the Heated Conversations podcast that the timeline of the injury is “a week-to-week thing” and cannot be fixed surgically, it is now reported that he had been pulled from events until after WrestleMania. This will be the second straight WrestleMania he will miss since being on the active roster last year. The 38-year-old former TNA World Champion made his WWE debut via NXT in 2015 and became one of the staple competitors of the brand. He would win the Dusty Rhodes Tag Team Classic with Finn Balor and commence a respectful feud with him. After feeling that he was getting snubbed out of an NXT Championship opportunity, he would turn on Balor in a desperate attempt at winning the title. Joe would eventually defeat Balor and win the title, before setting his sights on his next foe, Shinsuke Nakamura. In his feud with Nakamura, the two would exchange title reigns, being the only two competitors to win the NXT Championship on two occasions. 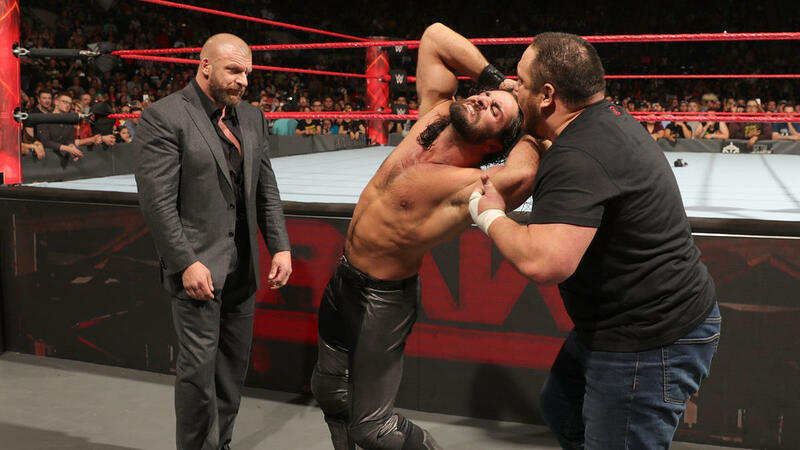 Joe would depart from NXT after a long-awaited expectation to the main roster, debuting on Raw as a henchman of Triple H by attacking Seth Rollins. Although Joe debuted on the Raw following the 2017 Royal Rumble, and feud with Sami Zayn following the injury of Seth Rollins, he would not find a spot on WrestleMania, and was left off the card. Joe would experience his best time on the main roster in the summer of 2017, commencing a feud for the Universal Championship against Brock Lesnar. At Great Balls of Fire, while coming close, he was unable to defeat Lesnar for the title. Joe would, unfortunately, suffer an injury to his knee at a live event in August of 2017, and be out for two months before returning in October. Joe was last seen on the NXT TakeOver: Philadelphia pre-show as a commentator.